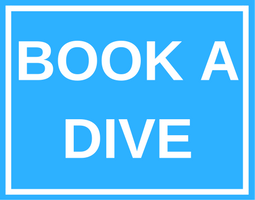 Technical (tec) diving involves diving beyond normal recreational scuba diving limits. Participating in tec diving requires additional experience, training and (of course) equipment. In recreational diving you use one scuba tank, but tec divers typically wear twin cylinders in backmount configuration or two tanks in sidemount configuration, plus one or more additional tanks, each with different gas blends. They usually have two or more completely independent regulators and dive computers, as well as other dive gear backups. Contact us at Arizona Dive Shop Subic Bay to get advice about tec diving gear, but here is what a typical tec diver might use. Although any scuba mask is adequate, tec divers prefer compact masks for minimum resistance in the water. A backup mask is carried in a pocket in case of loss or damage to the primary mask. A high capacity BCD with a backup gas bladder mounts between the harness and cylinder. The backup bladder is required because a tec diver may be too heavy to swim to the surface if the main BCD fails. The harness is a shoulder, waist and crotch strap assembly that holds tanks to the tec diver’s back, with D-rings mounted on the shoulders and at the waist for clipping equipment. The primary regulator has a two-metre/seven-foot hose for sharing gas with a teammate in an emergency. The secondary regulator is independent for use in case of malfunction in the primary regulator. The secondary is also used when sharing gas with a teammate via the primary regulator. 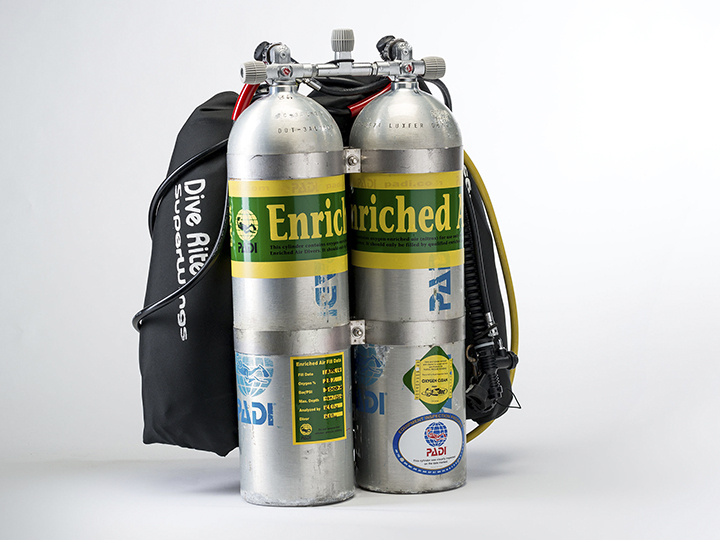 High-capacity cylinders hold high-pressure compressed air, enriched air or trimix depending upon dive requirements. An independent decompression cylinder and regulator is clipped to a harness on the side. Extra tanks are used to extend dive time and/or to carry a gas for optimizing decompression. Often, two cylinders are carried. Dive computers, one primary and one backup, track and display decompression requirements, and allow tec divers to switch to different kinds of gas blends to optimize decompression. If not integrated into the dive computers, SPGs constantly display how much air remains in the cylinders. Compass, slate, delayed surface marker buoy (DSMB), emergency signaling devices, backup dive tables, Z-knife, shears, safety reel, and lift bag.